BEST FIGHTER FOR CANADA: Why Canada should go to a mixed fighter fleet. Why Canada should go to a mixed fighter fleet. Mixing it up. RAF Tornado and Typhoon. Canada's only jet fighter at the moment is the Boeing (formerly McDonnell Douglas) CF-188 "Hornet". As far as jet fighters go, the CF-18 is pretty versatile, its equally adapt at both air-superiority missions and ground attack. While it isn't the best in any one category, it can handle most duties given to it. Canada hasn't always used a "one size fits all" fighter strategy, however. In fact, it's a relatively new development. Up until 1995, the CF-18 flew alongside the venerable CF-116 (CF-5) Freedom Fighter. The CF-5 was smaller, cheaper and more economical. The CF-5 was far from an advanced fighter, however. It's original raison d'être was as a cheap, almost disposable fighter for third world countries. With a crude radar, small payload, and limited capability, many argued that the CF-5 had no place in the RCAF in the first place. The CF-5 was able to fulfill a small role as a light attack platform. It also served as a lead-in trainer for the more complex CF-18 as well as serving as an "aggressor" role in dissimilar combat training. 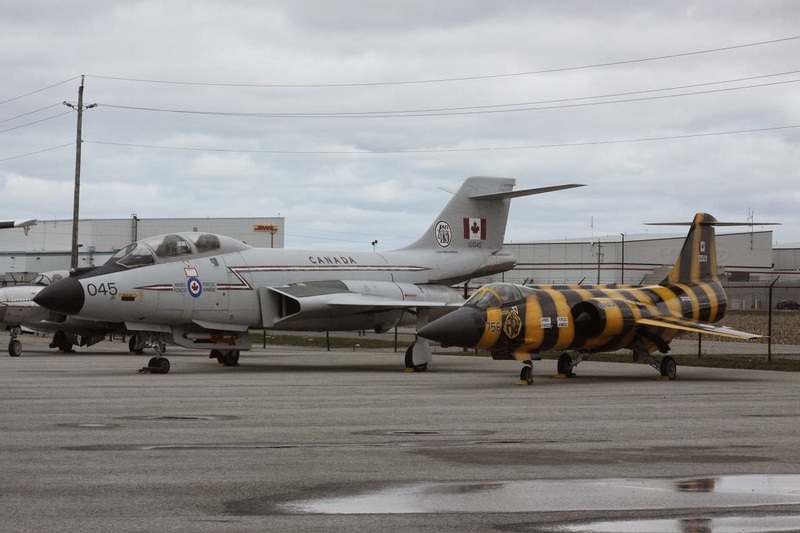 Canada's past: The CF-101 Voodoo and CF-104 Starfighter. Before the days of the CF-18, the RCAF flew the CF-5, the CF-101 Voodoo, and the CF-104 Starfighter. Not exactly the pinnacle of fighter aircraft technology at the time, but the Voodoo and Starfighter had defined roles. Interception for the Voodoo, ground strike for the F-104 (despite the F-104 being a high-altitude interceptor by design). Should Canada go back to a mixed fighter fleet? Absolutely. The USAF's future "high-low mix". 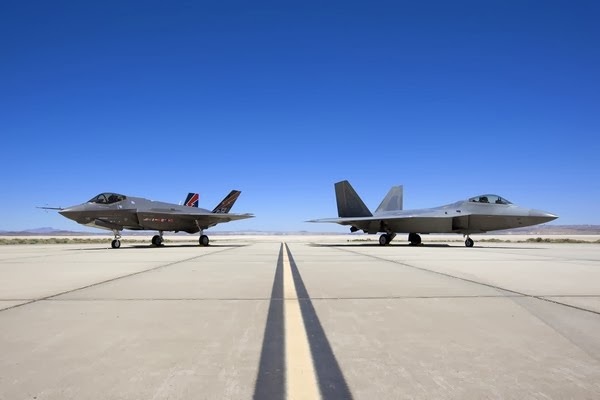 The F-35 and F-22. The USA has long employed a "high-low mix" fighter strategy. The best example can be illustrated from the 80s, when both the USAF and the USN flew a mixture of high end air-superiority fighters (F-15 and F-14) while also flying a smaller, cheaper, "workhorse" fighter (F-16 and F-18). In the future, this trend will continue, with the USAF flying the F-22 and F-35. The USN on the other hand, will fly the F-35 alongside the cheaper F-18E/F Super Hornet, as well as its derivative EA-18G Growler. The USMC, on the other hand will fly a mixture of STOVL capable F-35B fighters and carrier based F-35Cs. The USA isn't the greatest example of why Canada should operated a mixed fighter fleet, however. The USA spends 30 times that of Canada's military budget (over 3x by GDP alone). So let's look at some other countries, shall we? 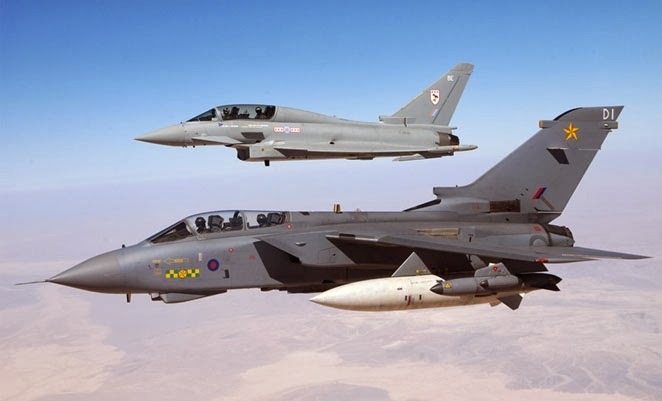 United Kingdom: Currently flying the Eurofighter Typhoon, and the Panavia Tornado. Soon, the F-35B will be operating from British carriers. The UK also flies the Saab Gripen and BAE Hawk for training purposes. France: Currently flying the Dassault Mirage 2000, Mirage F1, and the Rafale. Current plans are for the Rafale to be France's only fighter for both Air Force and Navy. Recent experience has shown that the older, simpler, cheaper Mirage models worked just fine for certain missions. Spain: Eurofighter Typhoon and F-18 Hornet. Italy: Typhoon, Tornado, and the AMX light fighter/attack/trainer aircraft. Plans are in place for a mix of F-35As and Bs. Germany: Eurofighter Typhoon and Panavia Tornado. The Tornado will slowly be phased out as the Typhoon gains more of a ground attack capability. Brazil: F-5 Freedom Fighters to be replaced by Saab Gripens. Also the AMX as well as A-4 Skyhawks flying from Brazil's Sao Paulo aircraft carrier. South Korea: F-15K "Slam Eagles", F-16s, F-4s, F-5s, and FA-50 "Golden Eagles". 40 F-35's will be purchased to replace aging F-4s and F-5s, with 20 of some other fighter type to be determined at a later date. Australia: Currently, F/A-18 Hornets, with F-18E/F Super Hornets and EA-18G Growlers entering service. Soon, the RAAF's F/A-18s will be replaced with F-35As, with the mix of Super Hornets and Growlers making up essentially a three fighter fleet. Turkey: Turkey is awaiting delivery of the F-35, which it will fly alongside newly acquired F-16 Block 50+ Fighting Falcons. It should be noted that Canada spends slightly less than Australia on military spending, while spending slightly more than Turkey. Turkey plans on purchasing 100 F-35s to fly alongside its 227 (with 19 more on order) F-16s. Australia plans on 100 F-35s to go with 24 Super Hornets it currently has being delivered and the possible 12 more Super Hornets and 12 EA-18 Growlers it has the option of buying in the future. Looking at these examples, three things jump out at us. Canada fields an comparatively small amount of jet fighters. Canada is one of the few countries considering flying the F-35 exclusively, the others, such as The Netherlands, Norway, and Denmark; spend far less than Canada on defense and have much smaller land masses to defend. Only Germany and France seem poised to adopt a single fighter type. Both countries are HEAVILY invested in those fighters however, so this is understandable. Both the Typhoon and Rafale were designed specifically for Germany's and France's foreseeable fighter needs. Certainly there must be a reason why all these other countries field multiple fighter types. "They were out of limos... 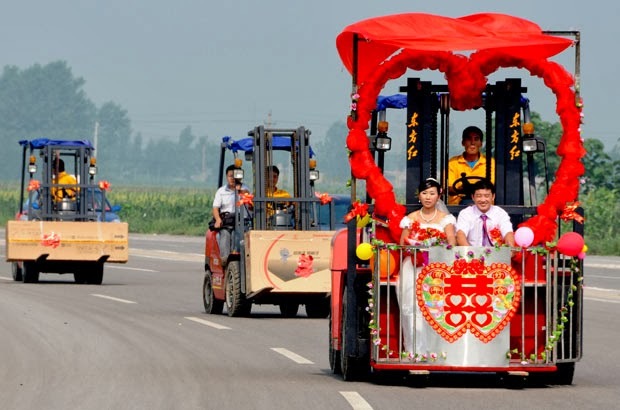 But they rented us this sweet forklift instead honey!" Multiple fighter types allow for greater choice, allowing a battlefield commander to pick which platform would be best for a situation. Need speed? Pick the faster jet. Need range? Pick the one with the better range. Need payload? Pick the one that carries the most. Imagine if your family had two big SUVs in the driveway. Both vehicles would be able to do most tasks, but neither is likely to be the best choice. Now imagine you have a pick-up truck and a sporty station wagon. The truck handles the "big jobs" much easier, while the sport wagon zips around town easier and is more economical to run. Fighters would be tasked with doing the job they do best, and letting the other fighter type do what it does best. Pilots would similarly be trained with an emphasis on certain missions. As time goes by, future upgrades could be focused on the aircraft where they will do the most good, rather than outfitting the entire fleet. In a two fighter fleet, one can be designated the "air-superiority" model and be first in line for any relevant upgrades in air-to-air combat ability, such as improved detection, better air-to-air missiles, etc. Meanwhile, the more strike focused aircraft would be upgraded with better precision bombing capabilities and the like. A mixed fighter fleet would also give more options as to what we need. Some fighter jets, like the F-35 do not have a two-seat version. Others, like the Super Hornet, are available in a electronic warfare variant (the EA-18G). The Gripen has the ability to operate from roads. Mixing the fighter fleet up allows us extra options for future operational requirements. Let's say a serious fault comes to light, threatening to restrict or possibly ground an entire aircraft type. With a single fighter force, this could be disastrous, either leaving the country without a valid fighter force or taking risks with a possibly compromised aircraft. With a mixed fighter fleet, the solution is to merely fly the other fighter exclusively until the problem is fixed. "THREE 1 GALLON JARS"... Hope you like mayonnaise. Buying in bulk can save you money, I get that, I got a Costco membership. 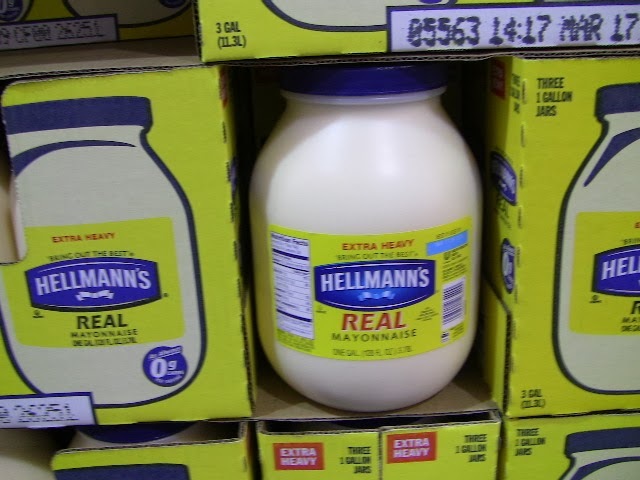 But how many of us can get through 3 gallons of mayonnaise before it expires? In 1980, the Canadian government ordered a total of 138 McDonnell Douglas CF-18 Hornets. Those aircraft were delivered from 1982 to 1988. Now, over 30 years from the first delivery, Canada once again finds itself ready to order a single "bulk" order of new fighters. Fighters that, like the CF-18, will require several costly cycles of updates, refurbishments, and life extension programs. The current CF-18 fleet has managed to stay fairly current as far as technology is concerned, but the airframes are old and tired. Instead of deciding on a fighter, flying it for 40 years, then replacing the entire fleet with a newer model for another 40, why not aim for two fighters, each with a 40 year lifespan... But stagger the buys by 20 years? This would mean our newest "batch" of fighters would never be more than an average of 10 years old. As one fleet ages, the other, newer fleet could be brought in to pick up the slack. This would also ensure that a good portion of our fighters are up to date technology wise, without having to resort to costly modernization programs. Yeah. I said the dirty word. Politics is a huge factor in fighter procurement, though, so it should be addressed. The Canadian F-35 purchase has been controversial. Numbers like "$9 billion" and "$46 billion" make great headlines, especially when combined with other issues surrounding the aircraft in question. So great was the F-35 controversy, it became a major election issue for the 2011 federal election, and will likely be an issue as well for the 2015 election. What if the ruling party was able to reduce those numbers substantially by cutting the order in half? That would make great press, but it would lead to a severe fighter shortage. The minimum number of fighters needed for Canada has been stated to be no less than 65. Those numbers would have to be made up for by ordering a second fighter. This wouldn't be without precedent, as that is roughly what South Korea is doing with its F-35 order. Unable to procure 60 aircraft within the $7.2 billion procurement budget, South Korea has instead decided to purchase 40 F-35s, and purchase another 20 aircraft of a type to be determined later. Politics, by its nature, is a study in compromises. Splitting a fighter buy would, at the very least, give the appearance of a compromise. It would also have the effect of reducing the "sticker shock". A "$5 billion" fighter program sounds more reasonable than a $9 billion one... Even if it is for half the number of jets. Best of all, with a staggered buy, there's a very good chance your political party will have its day to criticize a future government on their fighter purchase. So why doesn't Canada currently operate a mixed fighter force, anyway? 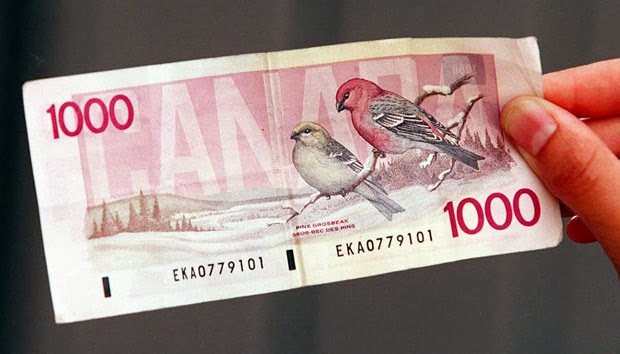 Try as I might, I've never found one of these in my wallet. "When we bought the F-18, we looked at the mixed fleet option and discovered that we could buy more of the most expensive aircraft cheaper than we could buy a mixed fleet made up of the two least expensive aircraft. The experts managing our next-generation fighter project did a similar study and came to a similar conclusion." -Hon. Laurie Hawn, Standing Committee on National Defense. It all comes down to the almighty dollar, doesn't it? A mixed fighter fleet means buying in smaller numbers. Smaller numbers usually mean a higher unit cost per unit. It also means that infrastructure must be put in place not for one, but two different aircraft. Runways, hangers, and the like would have to be approved for both. Ground crews would have to be trained on two different aircraft. 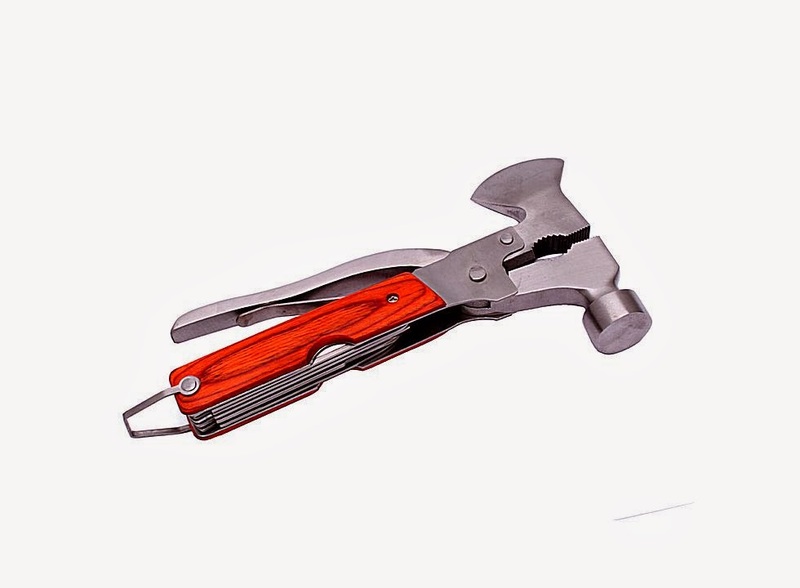 Different sets of tools and other equipment would be needed. Separate supply chains would have to be set up and maintained. Once you start adding costs up, a single jet does start making a lot more sense. If one jet can be deemed "good enough" for the tasks we will put to it, then why go through all the extra costs and complexity of a two fighter fleet? Because those extra costs may not be as bad as originally thought. Mr. Hawn's quote above is from December 7, 2010. That's well over 3 years ago. Things have changed substantially since then, both for the F-35 as well as the rest of the fighter market. It turns out the F-35 will be far more expensive than originally reported. Costs may go even higher still. 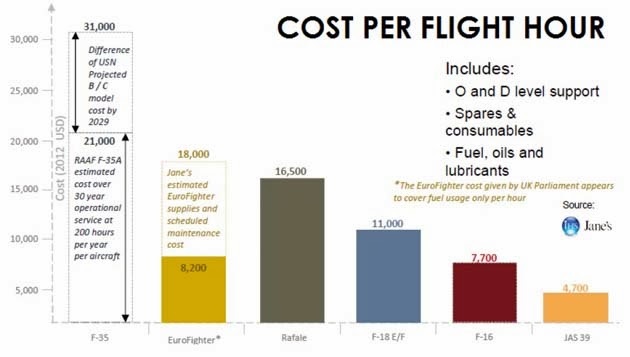 The math that makes a fleet of single-type expensive aircraft cheaper than a mixed fleet gets increasingly fuzzier as costs go up for that expensive fighter. The F-35 is not yet in service, nor has it finished development. Cost estimates for long term maintenance are still very much in the air. The only thing we know for sure is that it's going to be more expensive than originally thought. All those fancy, cutting edge features and stealth capabilities means there's a lot more expensive stuff to break down and need fixing. Jane's cost per flight hour, estimated and adjusted. A 2012 study by IHS Jane's Aerospace and Defense Consulting shows just how far apart competing aircraft can be when it comes to sustainment budget. A F-35A flying with the RAAF is estimated to cost $21,000 per flying hour. By contrast, the Saab Gripen costs a mere $4,700 per flight hour. Now, those costs are estimates, and will ultimately vary depending on a countless set of variables. The important thing to take away is the simple ratio of flight cost. The Gripen is less than a quarter of the of the cost of the F-35. With that much disparity between the two, one has to wonder how a single type F-35 fleet could be more affordable than a mixed (say 50:50) fleet of F-35s and Gripens. The cost argument certainly needs to be addressed for a mixed fleet. Closer scrutiny might reveal that a mixed fleet could be far cheaper in the long term. Given the extra costs associated with service life extensions, modernization programs and the like, a single platform fleet could see the bulk of its costs arising during the near end of its lifetime, costs that would prove difficult to estimate 30 years beforehand. On the other hand, a mixed fleet gives the flexibility to "opt out" of future upgrades and life extension programs if the newer fighter still meets our needs. 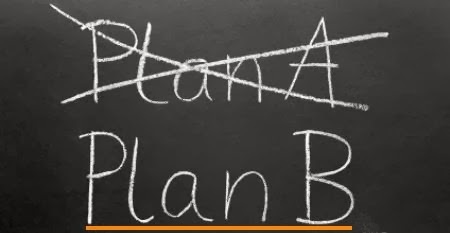 Let's look at two possible future scenarios, shall we? The current federal government announces that they will go ahead with the F-35 Lightning II purchase as planned. 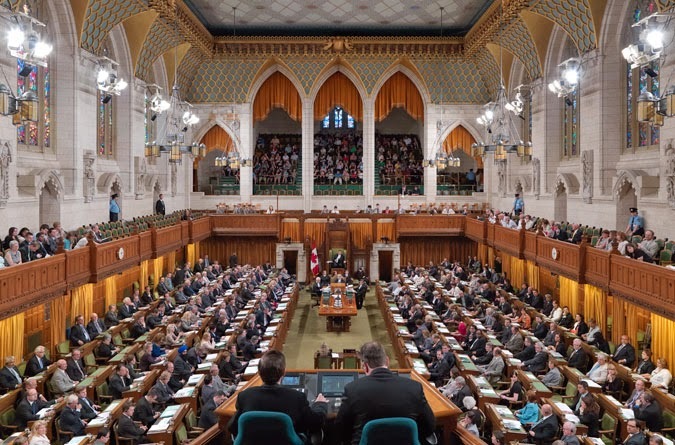 The move is met with criticism by the opposition parties and the Canadian press has a field day, lambasting the government for spending money on such a troubled and expensive program. Once again, the F-35 becomes a major election issue, possibly helping another party get elected on a promise to scuttle the program. If that happens, the entire process happens all over again, and the CF-18 replacement program begins to echo the Sea King replacement. For sake of argument, let's assume the procurement takes place. Unfortunately, budget cuts in the USA has forced a small delay in F-35 production and development. Canada is forced with making the difficult choice of extending the life of the CF-18 even further, or taking delivery of F-35s that are not yet in the peak production "sweet spot". That means they are more expensive, and do not yet have full combat capability. Great controversy erupts in the year 2026 as a CF-35 encounters a problem with its flight control software (FCS) and crashes. The pilot ejects safely, but the entire fleet is grounded until the issue is discovered and steps are taken to prevent its reoccurrence. Canada is forced to add another F-35 to its initial order of 65 to make up for the lost airframe. The year is 2030, and Canada now has its entire fleet of combat capable F-35s. Years of use have revealed that cold weather is rather harsh on the F-35's stealth skin, and it requires extra maintenance after extended cold weather operations. Costs per flight hour greatly exceed that of original estimates. In 2033, a software problem is found that makes the F-35's systems vulnerable to cyber-warfare attacks, allowing enemy hackers to take control of certain systems. Use of the aircraft is restricted until this issue is fixed. In 2040, Canada's F-35 fleet is starting to show its age, and its once cutting edge equipment is laughable compared to more modern aircraft. It's stealth is no longer viable, as modern radar systems have left it far behind. Canada is left with the difficult decision of upgrading and refurbishing its fleet of CF-35As to the more modern "F/A-35J" standard. It is now 2045, and Canada has begun the initial steps in replacing its fleet of CF-35s. It's controversial replacement, the sixth generation QF-53, looks promising, but problems with the AI becoming self-aware and aggressive towards humans is leading to delays in the program. Unable to select a single fighter type after a competition, the federal government has decided to compromise and order a mixed fleet of F-35s and Saab Gripen NGs. The Gripen order will be weighted so that it will make up the bulk of the early deliveries, while the F-35 will make up the bulk of the later deliveries. The ultimate ratio will be 36 F-35s and 48 Gripens, with 12 of those being the two-seat F model. Total procurement costs approach $11 billion in total, but the government explains that the extra jets (84 vs 65) and extra versatility are worth the extra price. Procurement costs will also be spread out more, with final F-35 delivery happening 5 years later than originally planned. Opinion on the move is mixed, with some criticizing the choice of jets and the extra costs, but many say the decision is justified, given the costs and uncertainty of the F-35. The move also allows Canada to take full advantage of the industrial aspects of both fighter jets, with final Gripen assembly happening in Canada. In 2020, the RCAF's 431 Demonstration Team unveils the CF-39 in the familiar red, white, and blue color scheme of the Snowbirds. In 2024, the USAF declares the Saab/Boeing T-39 "Hippogriff" as the winner of its T-X trainer program. Based on the Gripen platform, the T-39 will prepare pilots for the F-22, F-35, and future aircraft. While most of the production will happen in Boeing's St. Louis factory (which formerly assembled the Super Hornet), early models will be produced alongside the CF-39 Gripen in Montreal. In 2026, the F-35 crash forces the RCAF to temporarily ground its CF-35 fleet. The CF-39 fleet manages the extra workload. In 2027, Canada has taken delivery of its last Gripen. F-35 deliveries are scheduled to end in 2032. It's 2030, and cold weather is found to harder on the F-35's stealth coating than originally expected. This isn't a huge concern, as the CF-39 Gripen's simpler maintenance and rough-airfield compatibility mean it is predominantly used for arctic duties, anyway. 2031 brings the widespread introduction of the Russian PAK FA and Chinese J-20 and J-31. The PAK FA and J-20 have slight success in foreign sales, but the cheaper J-31 has become a huge favorite due to its "near F-35" capabilities for a substantially lower cost. 2033's software issue with the F-35 is solved, with Canada's Gripen fleet again filling the gap. Questions are being asked about the Gripen's effectiveness against modern Russian and Chinese designs however. In 2035, Canada opts out of a modernization program for its Gripen fleet. Instead, it will begin to steps to secure a replacement. In 2037, Canada announces that it will procure the Saab/Boeing F-40 "Chimera". Billed as a "Generation 5 ½" fighter jet, the F-40 evolved from the T-39 as a stealthy, single engine fighter that offers some 6th generation features at a far lower cost compared to the F-51 "Mustang II" scheduled to replace the F-22 Raptor. 24 manned F-40As are ordered alongside 24 F-40Q UCAV versions. In 2038, CF-39 Gripens begin transition to training duties. Weapon systems are removed, and the CF-39 becomes the "CT-39". In 2040, Canada's F-35s are looking dated, but their airframes are still in relatively good shape thanks to the CF-39 Gripen performing the majority of the "workhorse" fighter duties. A modest modernization program is performed, but not much is needed as far as life extension goes. In 2045, Canada is faced with the decision of either upgrading its F-35 fleet or purchasing a replacement. With new F-40s still coming in, a still healthy F-35 fleet, and the QF-51 program having troubles, Canada decides to simply take a "wait and see" approach. AFFORDABLE OR CUTTING EDGE... WHY NOT HAVE BOTH? Do we continue the same model as we have for the CF-18? Bulk purchase followed by countless refurbishments, followed by a panic to buy new fighters? Or do we split our fighter force, stagger our buys, and buy less fighters more often? Fighter jets aren't the type of thing you can simply just "make do" on. Their very nature requires them to be superior to whatever threats they may encounter. Flying a 30 year old aircraft against something with far more technology and far less airframe fatigue is not something we should be asking our pilots to do. By spitting our fighter fleet up, we can upgrade our forces more often, and splitting duties up so that they are being performed by the better qualified aircraft. Excellent post. I have always thought that a mixed fleet was the way to go, but I was thinking of the more conservative, and cheaper, option of 60 Super Hornets for domestic duties and a "golden bullet" squadron of 20 odd F-35's for 'expeditionary' adventures. Your suggestions are much more sophisticated, particularly the idea of splitting the buy over time for technical and political reasons. What do you think the chances are that the powers that be will consider them? Unfortunately, I don't think the chances are very good for a split buy. Lobbyists will put as much pressure as they can into an "all or nothing" bid. Of course, the losing manufacturers will be more than willing to offer their wares as a secondary fighter if the chosen purchase is lacking in numbers. You already explained that, Independence is a big deal for France (especially for nuclear deterrence reasons). Consequently, we develop our own military hardware and weapons as much as possible. While France hadn’t money to fund development of 2 or more aircraft, the “one aircraft, all missions” was a way to avoid the need of importing combat aircraft. In addition, it is much cheaper to fund evolutions and integrate weapons (indigenously developed!) for a unique fighter program than two or more. This consideration for non-recurring development costs makes France a particular case. In fact, Rafale is the most visible part of a global French doctrine about multipurpose weapons: EM and IR seekers for the same MICA missile or the three different guidance system kits (GPS/laser/IR) for the same AASM/Hammer bombs are another examples. With this kind of strategy, France was able to give the Rafale AESA radar and many air-to-surface weapons faster than 4 countries for Typhoon! I’m surprised you didn’t mention… Sweden! They’re probably in a similar situation about the single fighter fleet. country develop the fighter jet because high non-recurring costs for development mean that only big countries can fund the design of more than one fighter aircraft. At the contrary, if a country doesn’t develop its own fighter jet, a mixed-fleet has all the strengths you mention above. About cost, I agree with you we can’t simply put the things as “2 aircrafts fleets are more expensive than single-aircraft ones”. Nonetheless, I think a “critical mass” is needed, because below a given size even an off-the-shelf aircraft carry too much non-recurring costs. See the Oman procurement: 12 Typhoon + 8 Hawk at $4 billions! All options should be addressed by a serious analysis about life cycle costs. One more thing about an important fact you mentionned: for some tasks, rafale is overkill and a good old Mirage F1 with a ridiculously low cost per flight hour is good enough. French Air Force is currently speaking about “Différentiation”: you can say it, we’re talking about High-low mix. We will probably never get enough funding to deploy a true High-low mix approach for aircraft fleet, but for years to come, idea is to keep some Mirage 2000 and to not go so fast to a full-Rafale fleet. From what I heard, plan for the future is that Rafale will become the low part of a mix with a small fleet of either modernized/”stealthy-nized” Rafale or UCAV. Not that Russia is puten pressure on the west and the Ukraine, it's even more conceivable to have high end air superiority fighters that are adequate mud-pounders. A split purchase for NATO/NORAD roles is looking like a necessity. Heated tensions can flair up in a heatbeat and we must be able to deploy class "A" at a moments notice. I hope the situation in Crimea blows over but this should be a lesson to NATO to get their crap together and be prepared. China or N. Korea could pull this stunt at anytime. Air Forces ready to buy should go with what's available now. Every air force has high time gen4 fighters waiting for the F-35 to materialize. Even though this post is a few months old, I still think it is excellent! I have become a fan of a mixed fleet. A small number of F-35s can be a great thing! The F-35 could be a good first-strike light attack aircraft. Purchasing 12-18 F-35s would keep the Americans off our back while giving us some important strike capabilities. At the same time, an air superiority plane will be essential. Ideally, I envision the Eurofighter. But this is probably too expensive, particularly if paired with the F-35. However, the F/A-18 and the Rafale are good options. While the Gripen is probably the most versatile in that it could be based remotely and flown on a wide variety of missions. I'm really hoping for a mixed fleet, but I'm bracing for the disappointment of an "all F-35" package. I did read somewhere that Spain was considering selling some early Eurofighters to Peru for around $60 million each.. These jets had around 600 hrs on their airframes, so about 10% used.. We could buy these immediately to cover some slack in our F18s and reduce those maintenance costs, and buy further Eurofighters to bring up numbers. I realise these early Eurofighters are tranche 1, but later on they could be upgraded... I personally feel a fleet of around 60 Eurofighters would be adequate for attack duties as an air superiority platform and perhaps let us think outside the box, what is stopping the BAE Hawk from being used as a light fighter. These could also be trainers and replace our elderly Tutors in the snowbird roles. Used Eurofighters would make an excellent "interim" fighter if we need something to replace CF-18s for the short term. The Typhoons would work great alongside F-35s, Super Hornets, or whatever Canada decides to buy in the long term. Indeed, a mixed Typhoon/F-35 fleet will put us roughly on par with the UK and Italy. I also like the idea of a mixed "medium/light" fleet (i.e. Typhoons and Hawks) fleet. One would be hard pressed to imagine a scenario where Canada an entire fleet of strike fighters capable of 15-20,000lbs of ordinance.